They are in every house and decorative anyone imagine what it can become. Books are a great resource to decorate every corner of the house and do well with large doses of creativity. If you have old books that you want to give a new use, in today’s article of Meditnor you discover some terrific ideas to do so. 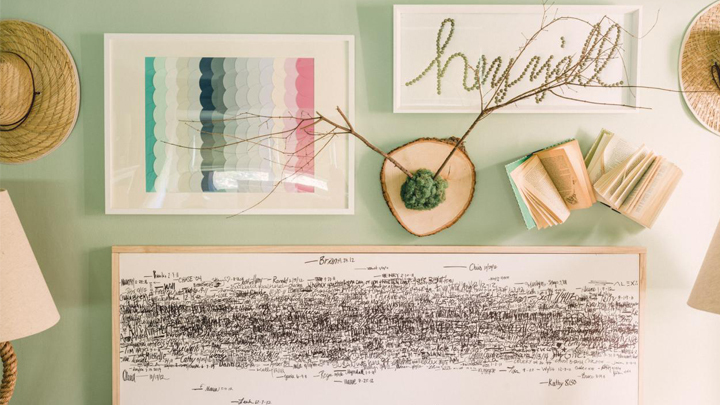 Discover our simple ideas for decorating with books. If you have a blank wall and do not know what to do with it, the books can be a great solution.Like pictures or paintings is involved, you can make the most creative compositions and surprising. From perfectly studied ways to provide visual balance, to original compositions that do not follow any order. In this sense, you can combine colors, shapes and sizes looking for perfection and balance, or you can make super totally different compositions different from each other books. Another interesting idea may be to convert your books into a makeshift shelf. 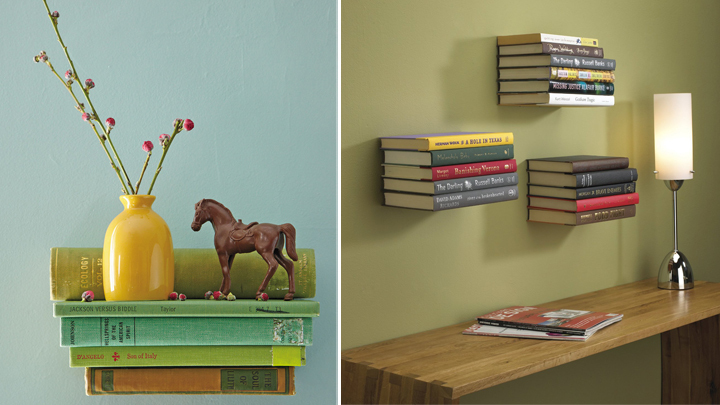 Help yourself to a special support to hold your books to the wall. 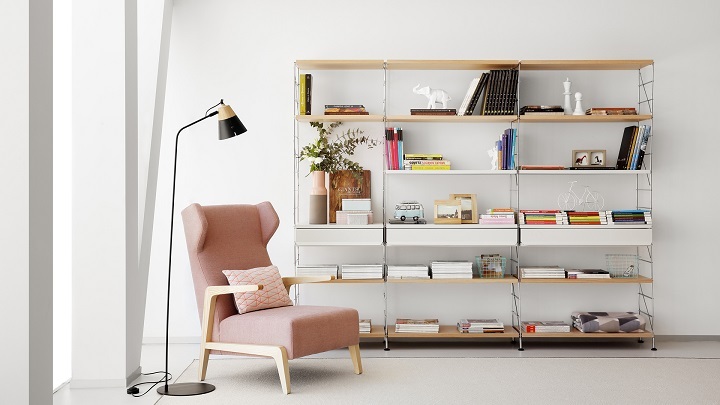 And if you like the idea, rather than a single shelf you can use a number of books at different heights. However, where books are more decorative it is a showcase or shelf. Therefore, in Meditnor we recommend you place them following a certain order. For example, by size: from highest to lowest. Or color, to find the contrast. You can also change the position and placing them vertically or horizontally. And it is that books can be a great resource to decorate cabinets, bookcases and shelves, both the dining room and the living room and work area. An intellectual touch to fill the house with style. We can even place them in the most unexpected and unusual places, such as in a radiator.But yes, at times of the year when you do not need to turn on the heat. If our book is old and do not mind starting a few pages, you can stick them on a wall. You can even use a picture frame for a more decorative result. Do you like reading in bed before sleep? In that case, improvise an original headboard using a few books. You see, the books offer us a world with hundreds of decorative possibilities. For example, we can also use them as a single vase or container. If you make a hollow inside, you can put a cactus or artificial plant that you can use as a centerpiece. Another fun and simple idea to decorate with books is to amass a few books as a table. You can customize your table for having the perfect height for you. A fabulous idea, for example, to design our own nightstand. But the ideas do not stop there. The most skilled and crafts lovers can design their own garlands of paper with cutouts of leaves from a book. And the imagination knows no bounds. So dare to explore and try new and surprising ideas. But yes, as long as you are willing to damage your old books. If you feel sorry to spoil your books, but you have to stack them one on top of another to form a base that you can place near a chair, like a coffee table. Accompanies this small and charming reading nook with a floor lamp and a plaid to enjoy unique moments. You can also place exposed, like a library or art gallery is involved. So you will decorate even more the environment. 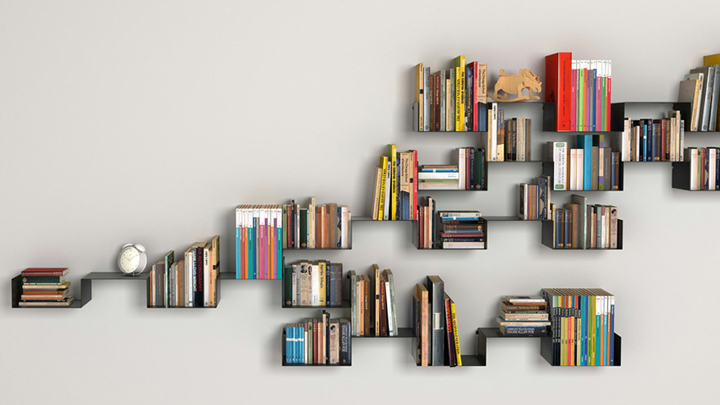 And you, what other ideas can you think of to decorate with books?